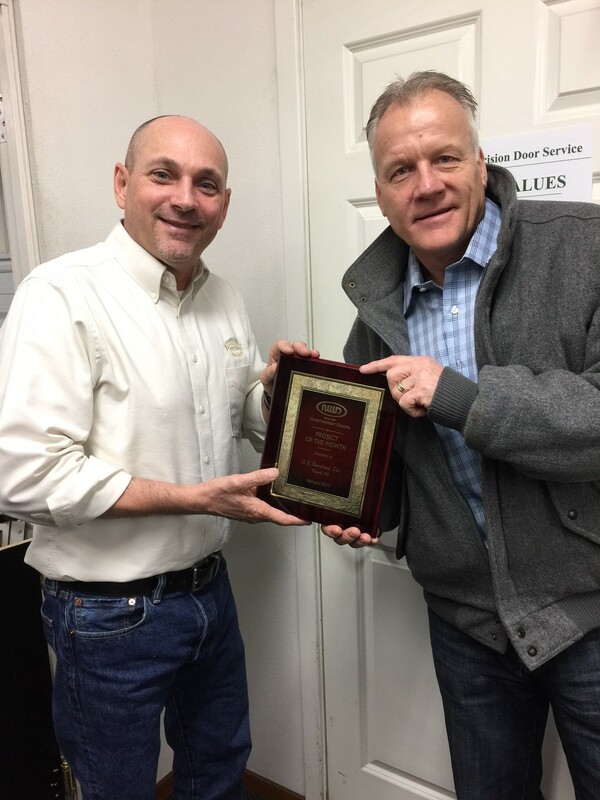 The February 2017 Project of the Month award was recently presented to Precision Door Service (SK Services, Inc.) in Portland, Oregon. The project was completed in Portland on a very modernistic home, which was a perfect fit for three of our 9’x7’-9” aluminum Modern Classics. 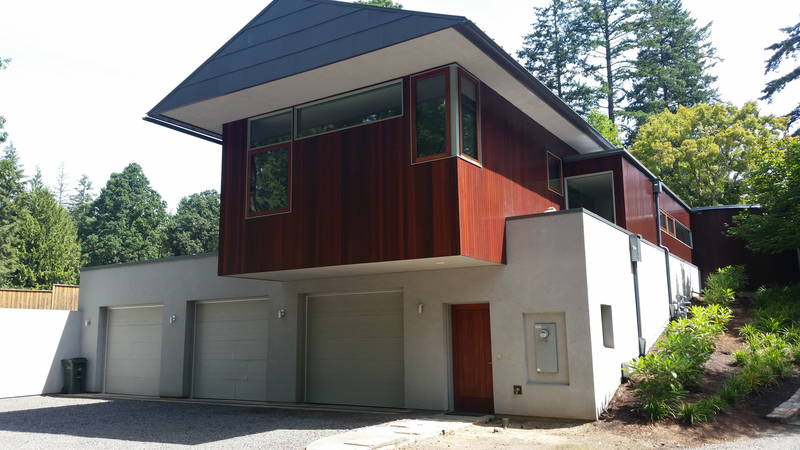 The doors have a custom color powder coat finish that matches the house beautifully. The glass in the door is insulated using Greylite glass on the exterior and Satin Etch glass on the interior creating very unique looking glass sections. However, the most unique feature on these doors is there are no center stiles. Although they are not available in large sizes due to glass size and weight restrains, they work perfectly on doors under seventy-two square feet in size. The specific doors are also equipped with LiftMaster 8550W openers that feature MyQ® technology. Precision Door Service has been in business for 14 years and is locally owned by husband and wife Stan and Kim Prosser. The company works exclusively on residential applications and services the Portland and Vancouver metropolitan areas. 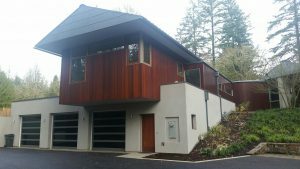 Precision sells a lot of Northwest Door’s Therma Tech and Modern Classic doors, but lately they have also been selling a lot of our newest residential steel product, the Modern Tech. Field Operations Manager Paul Bartlett said that customer service and interaction is his favorite aspect of the garage door industry. ”It’s always a good feeling to have everyone happy at the end of an install. A nice garage door can change the entire dynamic of a home.” This is something that Precision as a company takes great pride in – they are always working to be the best out there and take care of customers as best they can. Paul said they strive to always be ready and available when a customer needs them. “If somebody wants a door tomorrow, we try to get that for them. Without the customer we’re nobody”. Contact Precision Door Service today to quote your next project!